I got this from my good friend Jes via Word It Out. They make word clouds out of text and Jess did it for her first book – Tab Bennett and the Inbetween – which you can (and should) buy here. Take my word for it, she’s very talented. 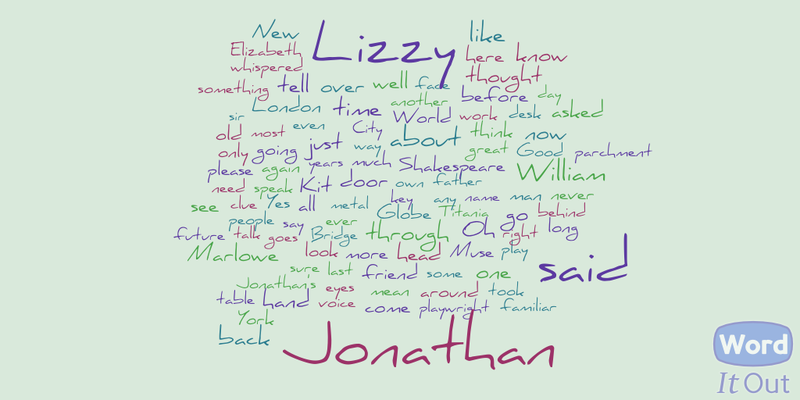 So I borrowed her idea and here’s the word cloud for Lizzy Speare the Cursed Tomb. The words that are used the most often are the biggest. 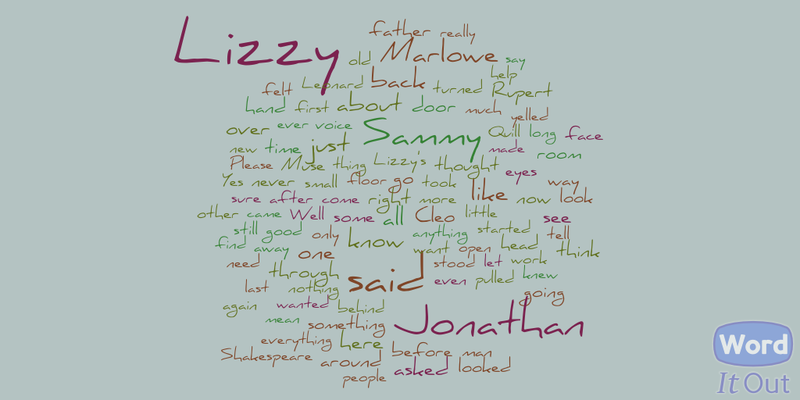 There’s a lot of Lizzy and Jonathan and Sammy. There’s some Cleo but the next book will have even more Cleo. There’s some Shakespeare, some Rupert and some Leonard. It’s just a very cool way to look at a story, all puffed up like that.